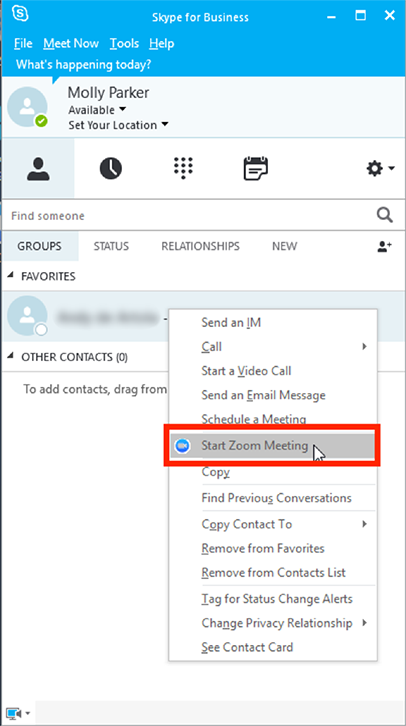 The Zoom Skype for Business (Lync) Plugin allows Lync users 2010, 2013 and Skype for Business users to initiate a Zoom meeting from the contact list. 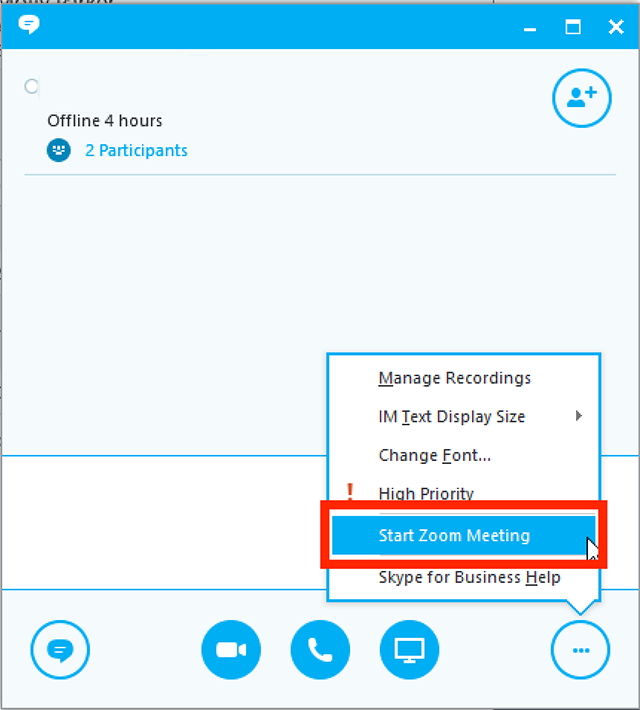 Download and install the Zoom Lync Plugin from the Zoom Download Center. 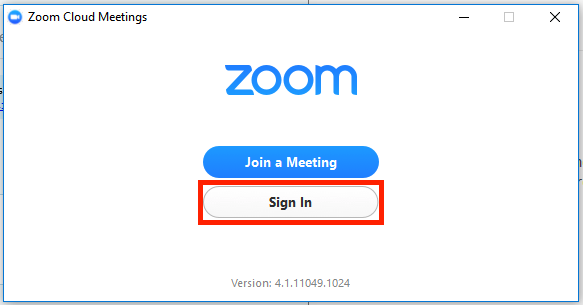 Download and install the Zoom Client from the Zoom Download Center. Note: You will need to restart Skype for Business in order for the plugin to appear. 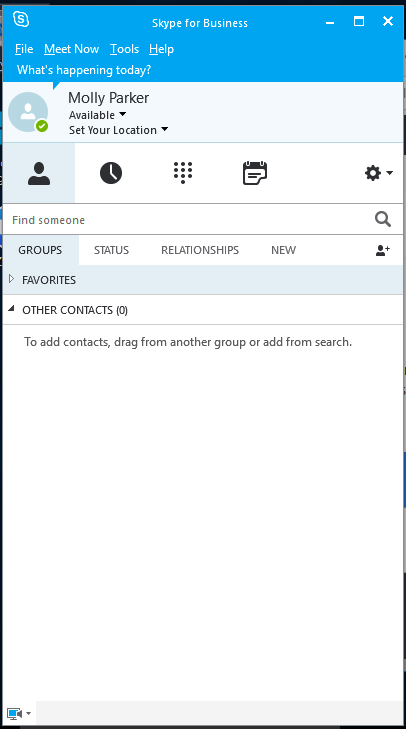 Open Skype for Business and login. Right click on the user you wish to hold a video meeting with. Select Start Zoom Meeting to start a Zoom meeting session with your contact. This will automatically open up Zoom and start the meeting. If you are not signed it, it will require you to sign in, then start the meeting once you have signed in. Open a chat window with the user you with to chat with.